Because you desire to party, it goes without stating that you would certainly choose a limo with party attributes. Most of these party buses will have a fun light show and TV/DVD options. Also make sure there’s a bar with an ice chest and full glassware. Some companies take out the glass for safety. Do you want an iPad hook up? 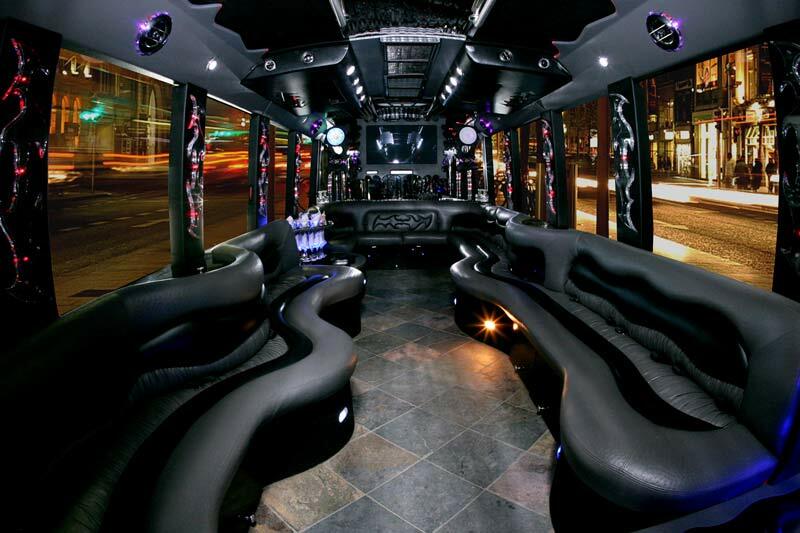 The right party bus will resemble a moving night club. How many people are going with you? If you are going out with the whole team, are you sure that that the vehicle has the ideal capability. But check the legal passenger allowance for the vehicle. A legitimate company will never let you exceed capacity. Plus when looking at the cost of the night out, think about the cost per person. The party bus is part of the entertainment. The Massachusetts Department of Transportation has very specific safety guidelines. But they are not always adhered to. Make sure your bus has an escape route and a fire extinguisher in case of emergency. Is it big enough to comfortable walk around so that the parties are stuck in their seats? If you need tables for food, game playing etc., ask the limousine company if they can accommodate you. For many a major component of a night out is drinking, obviously, the safest way home is to let someone else drive you. A party bus helps make it a worry-free night. Make sure that you examine their track records and read the reviews and ratings online submitted by customers. Contact you nearby BBB as well as from internet forums and also see if the business you are interested in is legit as well as respectable. Le Limo has started in 1986 has expertise in providing party transportation. We have 5 star reviews on multiple sites and an A+ rating from the BBB. To learn more call us at 508-842-4790.